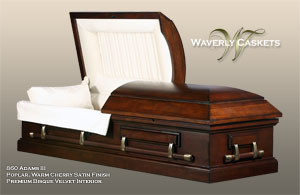 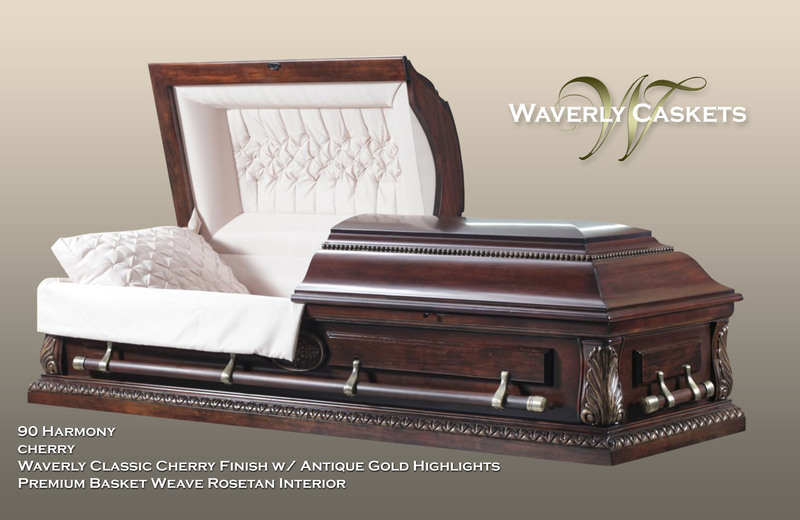 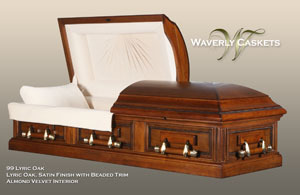 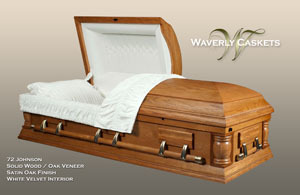 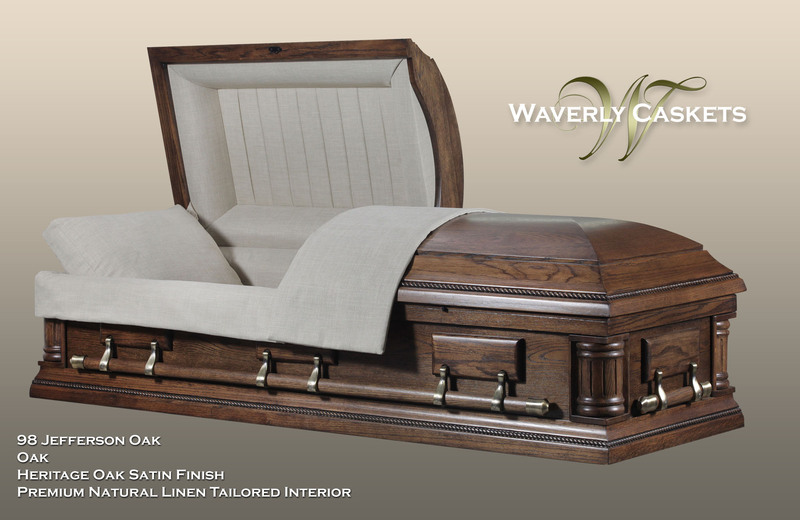 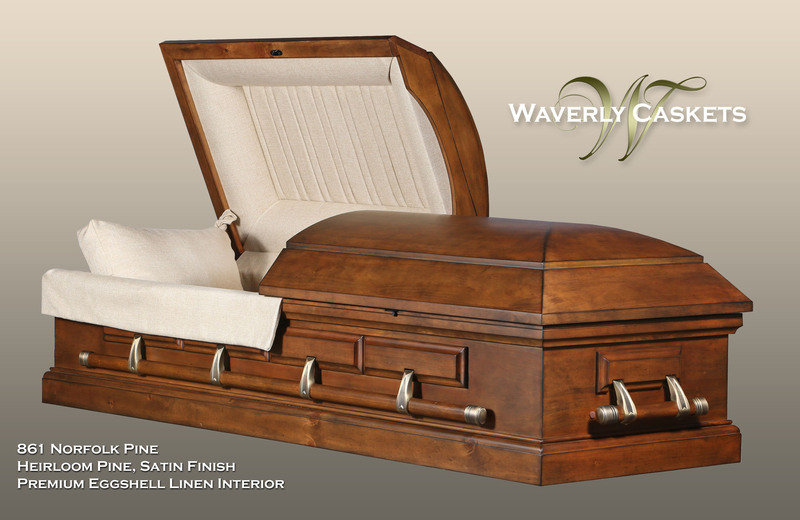 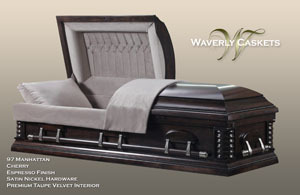 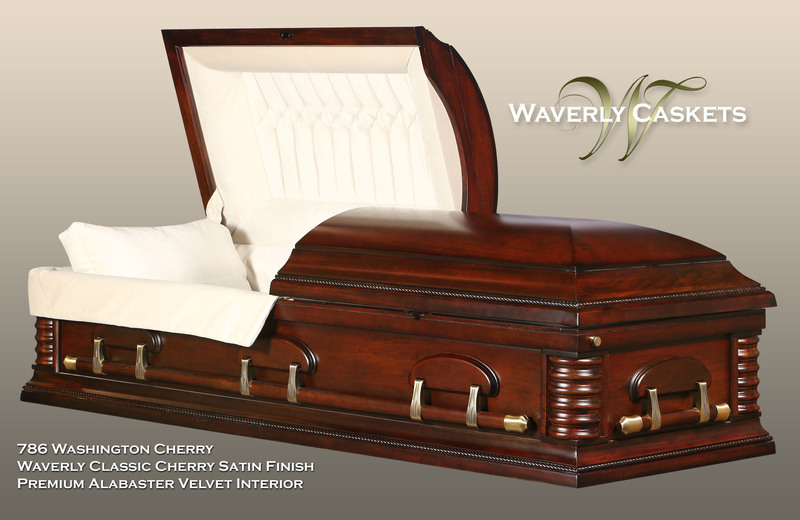 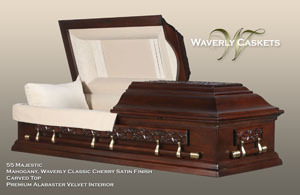 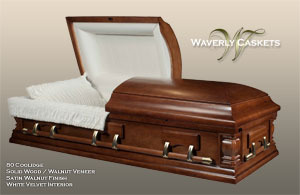 Wood caskets with superior features designed for both elegance and quality. Prime grade solid hardwoods selected for wood grain and appearance are used in every casket. 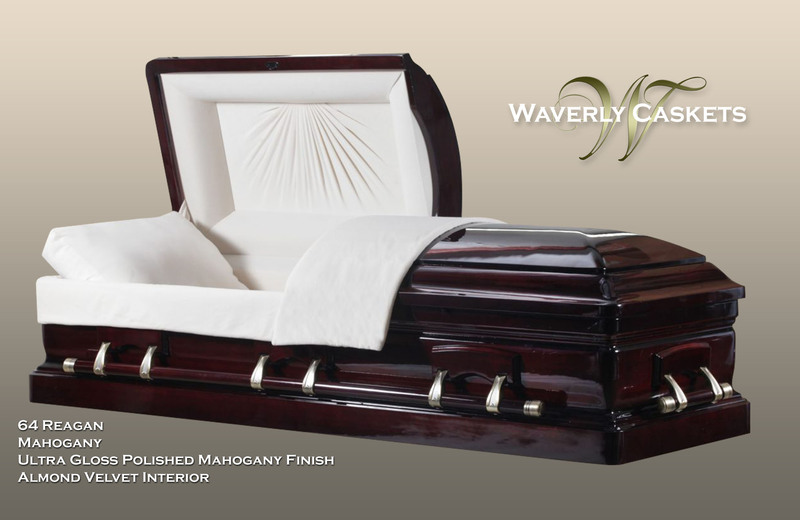 Furniture grade finishes are uniquely selected and professionally applied to bring out the best qualities in each variety of wood. Finished casket foot end on all caskets ½” marine grade plywood bottom on each casket. Adjustable frame mattress. 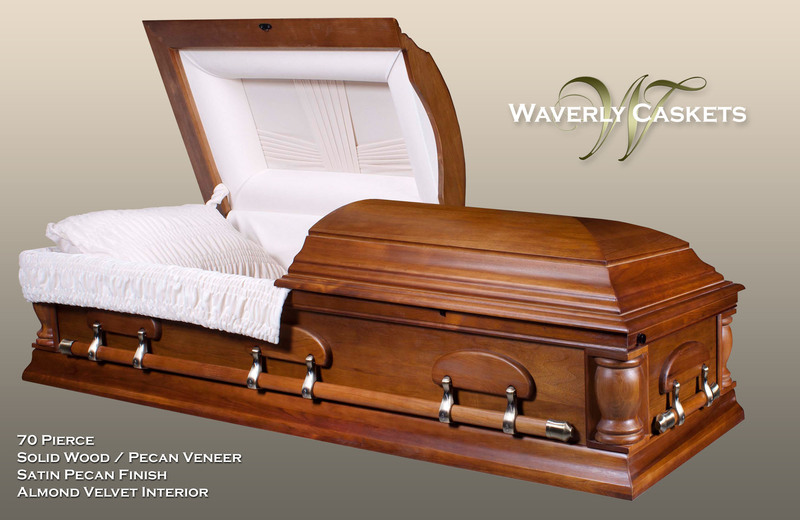 Reinforced crowns and corners for exceptional structural quality. 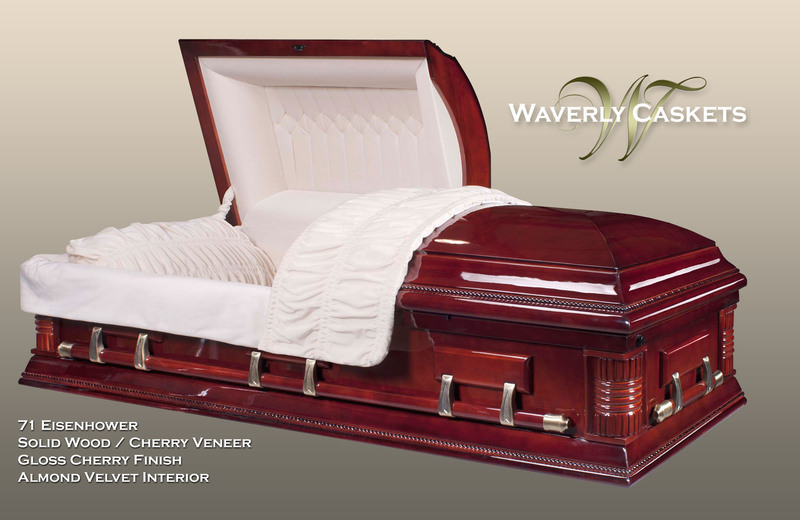 Extra heavy hinges to keep integrity of alignment in place.